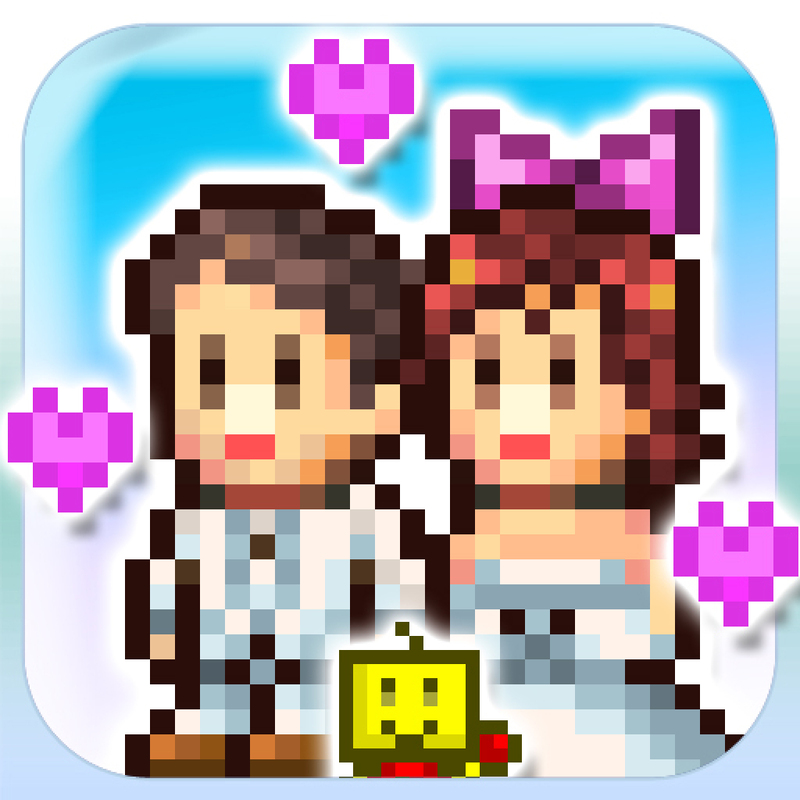 Dream House Days (Free) by Kairosoft Co.,Ltd is the latest installment of their addictive simulation games. 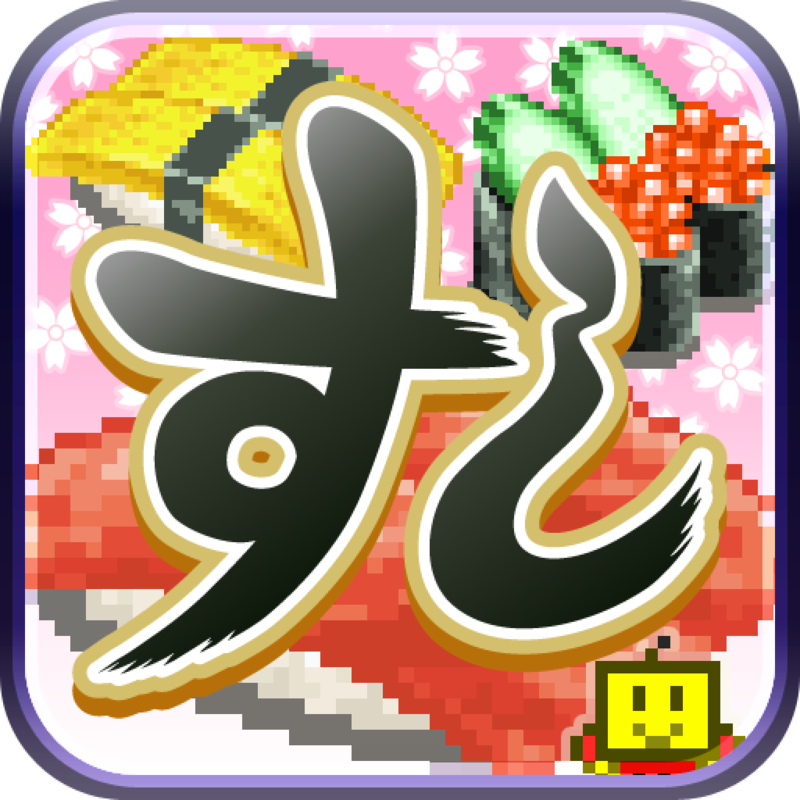 If you’ve enjoyed their previous titles like Game Dev Story, Venture Towns, Mega Mall Story, and The Sushi Spinnery, then you will like Dream House Days. 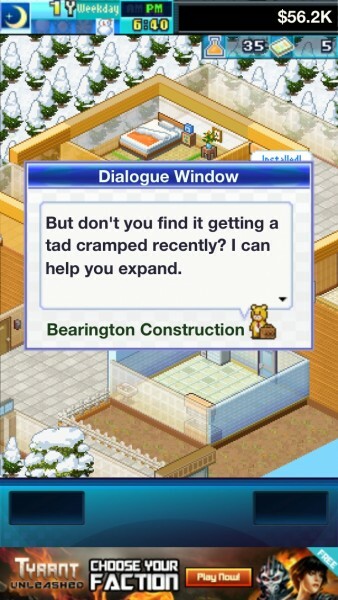 Now, even though this game features “Dream House” in the title, it’s not quite that. 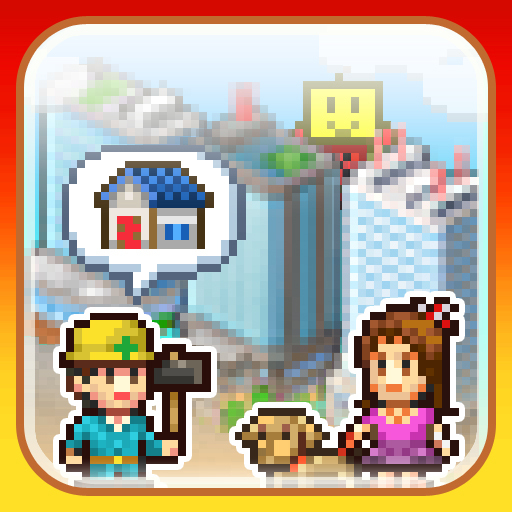 You aren’t building your dream house, but rather, managing an apartment complex. I was a bit disappointed at this, as I was wanting to build my own dream house, but hey, I have Animal Crossing New Leaf for that, right? 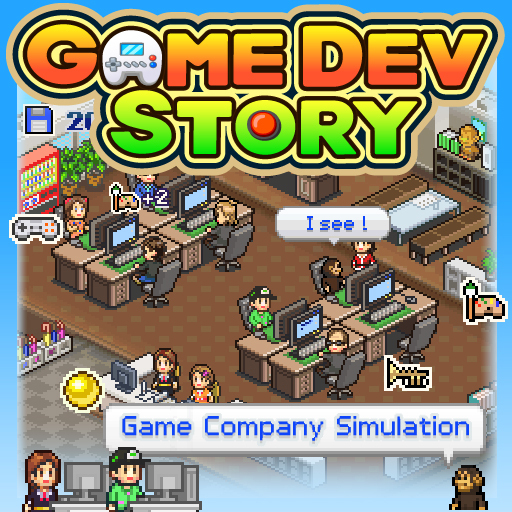 This game would have been better with a name like “Apartment Complex Story” instead. Another thing to note is that Dream House Days is completely free, following in the footsteps of Beastie Bay, and not like their other titles, which were premium with separate lite versions. 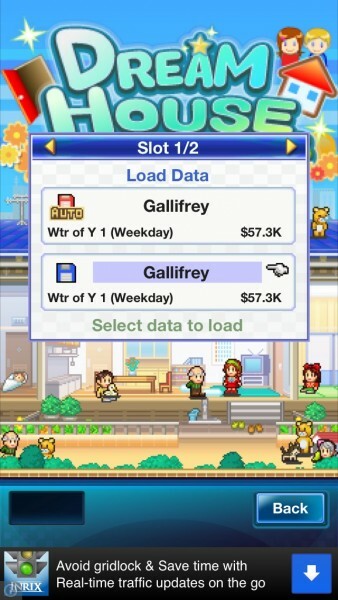 Dream House Days is ad-supported, and there are in-app purchases to get rid of ads and unlock landscape mode, or you can get more tickets for scratchers. Sounds like a real lottery addiction with that one. 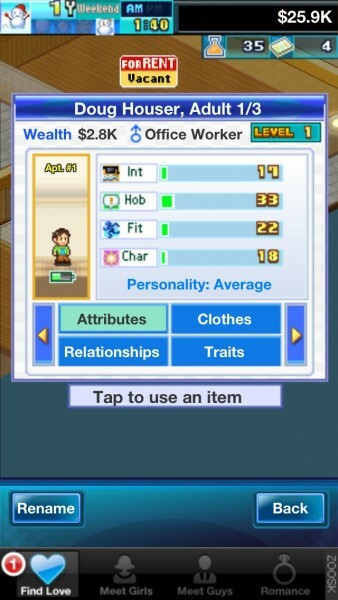 If you’ve played the other Kairosoft titles, then you’ll be familiar with the formula. 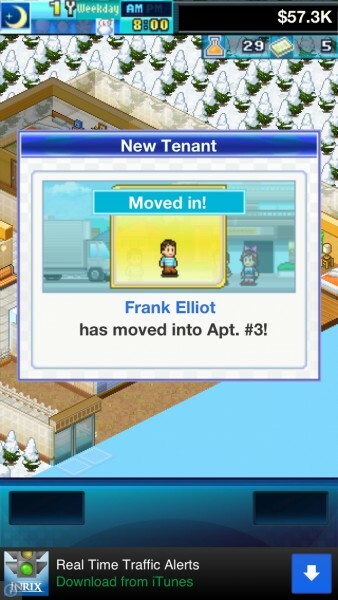 You start out with nothing, and will have to work your way up to be the best apartment complex ever. You will have to hire ad agencies to put out flyers to recruit new tenants to look at furnished rooms, research new furnishings to install in hallways and rooms, enter contests for recognition, and satisfy your tenants who live there. Everything is done in the point-and-click fashion of these sim games, and it’s all fairly straightforward. 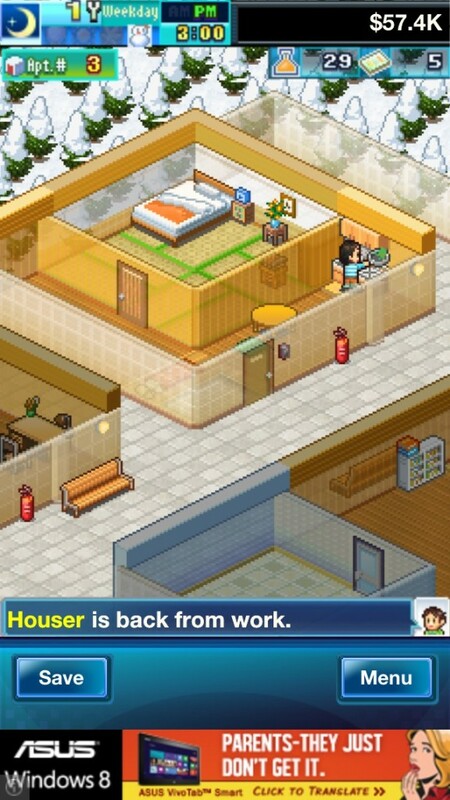 Of course, the neat little thing with Dream House Days is the interaction of all of your tenants. 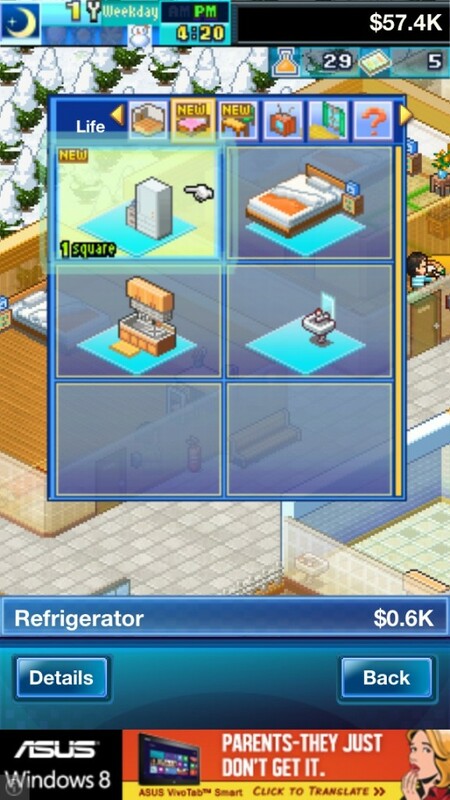 If you place the furnishings in the correct spots, your tenants will make use of them, earning you research points for more, and they will interact with each other. Eventually, you will have tenants who fall in love with each other, get married, and even have kids. Your residents will also go out of town, get new jobs, and even bring something special to your building. I’m actually liking the dynamics here, as it definitely feels more substantial than in the other games. The research points are incredibly important, so you will need to get a lot of them. That’s why the furnishings are important — the more your occupants use the furnishings you install, the more RP you get to get better items to decorate with. 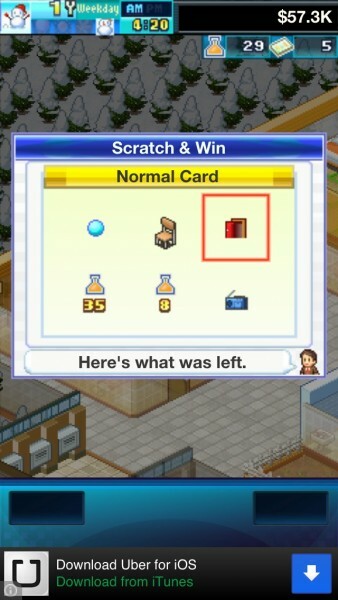 There is also the addition of the scratchers, which you can use tickets to purchase in one of two tiers: Normal and Gold, costing four and 10 tickets each, respectively. 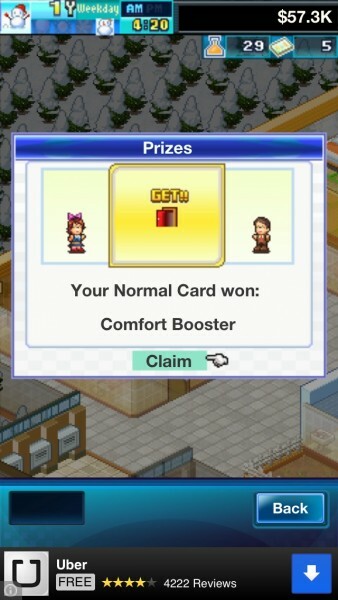 These will consist of squares that you can select to scratch off, but you only get one chance. Each square has a prize though, so you aren’t losing anything, but you will see what else was hiding after you make your decision. 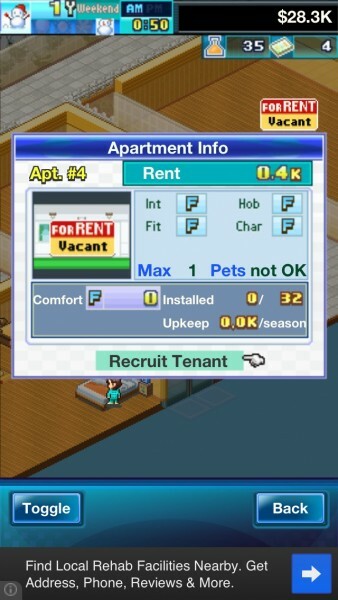 You can play the game as long as you want, though the “objective” is to become the best apartment complex by a certain amount of time, of course. 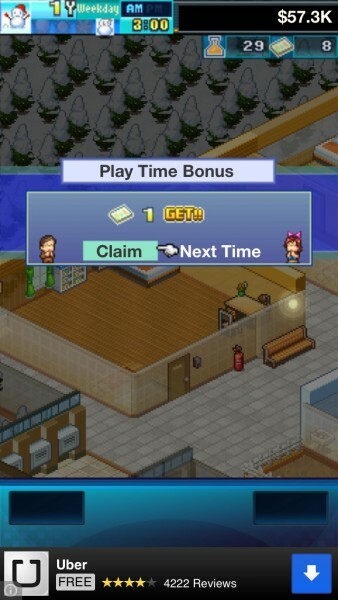 But that’s why I like the Kairosoft sims — they can be played at your own pace from the get-go. 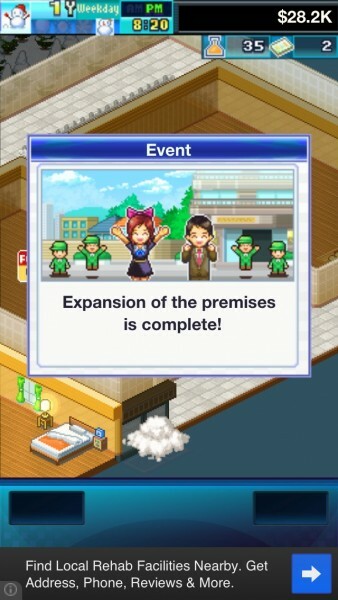 Despite not being an actual “dream house,” I’m enjoying the game quite a bit, but I always find the Kairosoft titles to be fun. 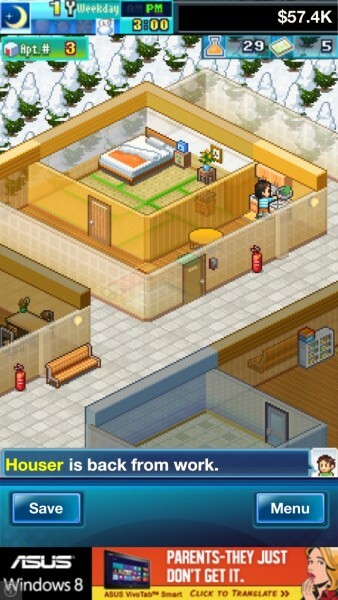 If you are a fan of Kairosoft or simulation games in general, then I recommend taking Dream House Days for a spin. 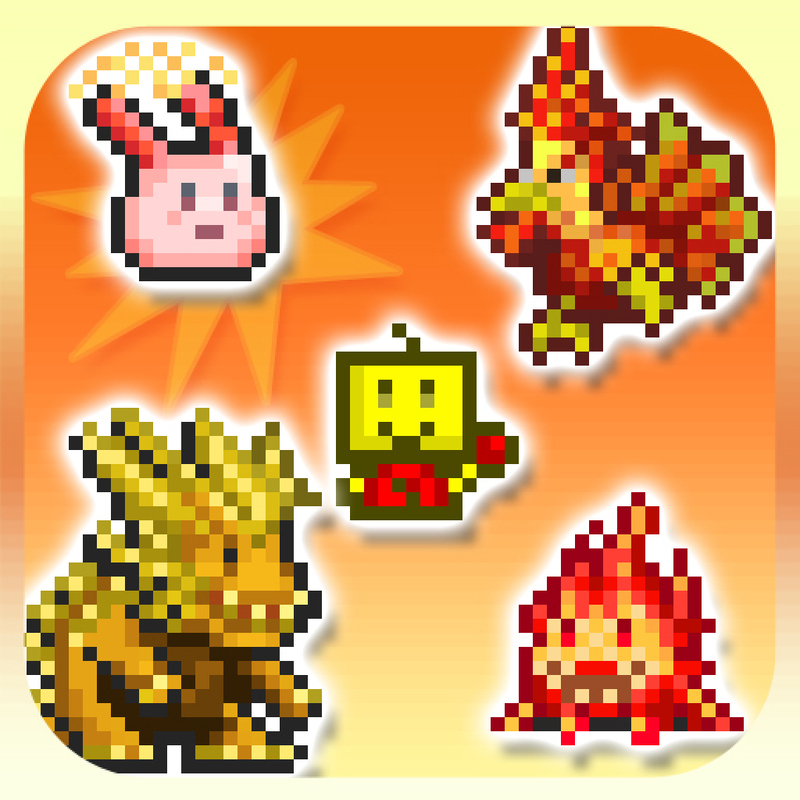 Grab it in the App Store as a universal download for free. 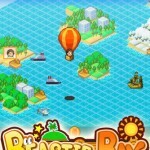 Can You Make It As A Smooth Operator In This Latest Port To iOS?